A father-of-four who smothered his wife with a pillow after drinking 10 pints of lager has been jailed for seven years. David Sadler became fixated with the view that his wife Jill had hastened the death of their terminally ill daughter, Liverpool Crown Court heard. 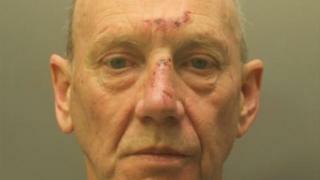 Returning from a night out, the 62-year-old "snapped" and killed his wife of 40 years as she lay sleeping. A jury cleared him of murder on Friday but he admitted manslaughter. Mrs Sadler suffered 50 injuries to her head, face, neck and abdomen in "a sustained attack" at the couple's home in Wastdale Drive, Moreton in February. Liverpool Crown Court heard that, a month earlier, the couple's 34-year-old daughter Joanne had died from a terminal illness. In her will, she stated that her children should be brought up, not by her parents, but by a friend to which 58-year-old Mrs Sadler had reacted badly. As a result, her daughter banned her mother from her bedside and Mrs Sadler struggled to forgive herself. Sentencing Sadler, Judge Andrew Menary QC said it was his "deep resentment that she had caused or contributed to Joanne's suffering and death" that became his "drunken motivation" for killing his wife. "In drink you attacked her while she was alone and in bed and utterly defenceless," he said. Det Insp Siobhan Gainer of Merseyside Police said it was a "truly horrific incident". "No prison sentence will bring Mrs Sadler back but I hope that now the court case is over it means that Mrs Sadler's family and friends will be able to move on with the rest of their lives," she said.